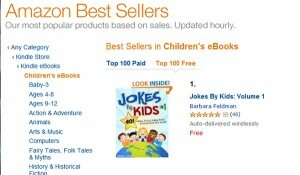 Click the covers to see the books at Amazon.com. Jokes By Kids: Volume 1 and 2 each include 401+ clean, funny jokes from kids around the world. Now available in Kindle format. Don’t have a Kindle? No problem! A free Kindle app can be downloaded for your computer, tablet, iPad, iPhone, Android or other smart phone. 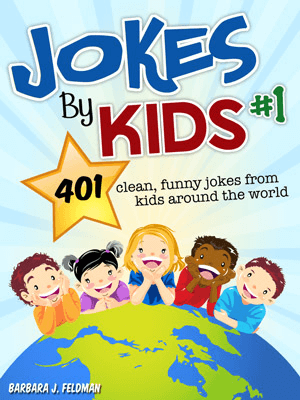 These jokes will be great fun for long car rides, the dinner table, the classroom, scout troops, birthday parties or anywhere family is gathering. And when you have Jokes By Kids on your phone, you can whip it out whenever the occasion calls for a little laughter! Just $2.99 and available for instant download.